We offer a no fee guarantee*. Free initial consultation with no obligation. 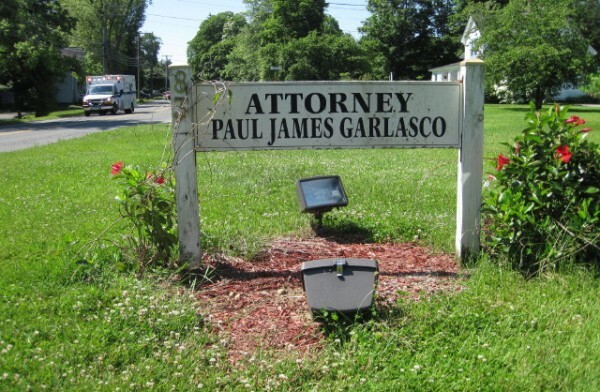 Attorney Paul James Garlasco is a personal injury lawyer and workers' compensation lawyer representing clients in Old Saybrook, Connecticut. Attorney Garlasco is who is dedicated to achieving the best and fastest recovery for his clients. When your loved one or you have been the victim of a serious injury, or when your family has suffered a wrongful death, let Attorney Paul James Garlasco fight for you. Attorney Paul James Garlasco has successfully represented injured persons for over 28 years and has a reputation for success as a direct result of his personal commitment to each of his Old Saybrook clients. With Attorney Paul James Garlasco you pay nothing until you get the compensation you deserve. Please call or email us today to speak with Old Saybrook personal injury lawyer and workers' compensation lawyer Paul James Garlasco. Old Saybrook Personal Injury Attorney - In a personal injury case, your own insurance company may deny you benefits and even become your adversary. Click here to learn how the law office of Paul James Garlasco can help you. 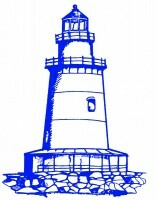 Workers' Compensation Lawyer in Old Saybrook - Seeking benefits after sustaining an injury at work often becomes a fight with the employer's insurance company. Click here to read how Connecticut personal injury and workers' compensation lawyer Paul James Garlasco can assist you. Slip and Fall - Any injuries you sustain on another person’s property will be fought by the land owner’s insurance company. Seasoned Connecticut personal injury lawyer Paul James Garlasco can help. Click here to find out more. Premises Liability - From the moment you are injured while on the land of another, that property owner’s insurance company begins to build its case against you. To learn how Attorney Garlasco can help, click here. Product Liability - Every day, people are injured by products that are defective. If you have been injured by a defective product, click here to learn how the law office of Paul James Garlasco can help. Social Security Disability When the time comes to apply for Social Security disability benefits, the federal government makes it very difficult to obtain the benefits we deserve. Click here to read how Attorney Paul James Garlasco can assist you. Motor Vehicle Accidents If you are in a car crash, you need legal representation immediately. Attorney Paul James Garlasco is an experienced Connecticut personal injury and workers’ compensation lawyer who can help. Click here to read more. Dangerous Drugs Sometimes drugs that have been prescribed can have devastating effects. Click here to see how the law office of Paul James Garlasco can help if you have suffered an injury resulting from dangerous drugs. Dog Bites If you or your pet has been bitten by a dog, contact Attorney Paul James Garlasco for assistance. Click here to read how Attorney Garlasco can help you. Medical Malpractice A doctor's insurance company employs teams of aggressive attorneys and experts to avoid paying out money for the doctor’s negligence. To learn how Attorney Garlasco can assist in your recovery and protect your rights, click here. Nursing Home Negligence In nursing homes mistakes and even gross negligence happen every single day. Click here to read how the law office of Paul James Garlasco fights hard to force the nursing home’s insurance company to pay when your loved one has been harmed. Dram Shop Claims Connecticut personal injury and workers' compensation lawyer Paul James Garlasco can help you with your dram shop claim. Click here to learn how. Wrongful Death Wrongful death is the ultimate and final loss. Click here to learn how the law office of Paul James Garlasco can assist surviving family members through this difficult period by protecting their rights and recovering damages. Traumatic Brain Injury A traumatic brain injury case can be difficult to navigate. Click here to read how Connecticut personal injury and workers' compensation lawyer Paul James Garlasco can help. Paul's professionalism and CT Workers' Comp law knowledge resulted in a complete win. I will continue to recommend you, Paul, to anyone injured in an accident. I recommend Paul to everyone I know. He is knowledgeable, direct, and tenacious. Paul James Garlasco truly portrays the meaning of a "great attorney." Attorney Garlasco was highly compassionate and reassuring. Attorney Garlasco and his team were never short of time for questions or follow up. Attorney Garlasco has been a personal lawyer for my family and me for many years.